After a long slide in sales numbers, Kia Australia has decided to rid itself of the Kia Optima midsizer - which naturally raises questions about the longevity of the medium car category as a whole. Australians bought 28,748 medium cars in 2018 compared to 41,068 in 2017, however the segment’s key players have no plans to follow Kia’s lead. Though SUVs are gaining ground dramatically, the industry still has plenty of faith in the humble medium sedan despite the decline in sales. This includes Toyota, whose Camry continues to dominate the medium category despite a drop in volume since production moved offshore in October 2017. Toyota Australia’s senior product communications officer Orlando Rodriguez said the company is “happy with the performance of the Camry and where it sits”. “We always knew there was going to be some kind of change post-local manufacturing, but it’s hitting all of our targets,” Rodrigeuz said. “The biggest thing that we’re happy with is how many people are actually taking up the hybrid as their choice of powertrain." Toyota sold 15,269 Camrys in 2018 to secure a 53.1 percent market share, but you only have to go down to second place to see just how niche the medium car segment has become. Plenty of daylight separates the Camry and Mazda 6, whose 3328 sales in 2018 were dwarfed by the Mazda 3 small hatch/sedan and the CX-5 medium SUV, which both outsold the 6 sedan and wagon in just two months. But Mazda Australia senior public relations manager Sonia Singh told WhichCar the company is happy with how the Mazda 6 is selling, particularly since receiving a significant mid-life upgrade in June last year. While the numbers are relatively low, the good news for Mazda is that a quarter of these were the range-topping Atenza, which received a new 2.5-litre turbocharged petrol engine as part of its first major update last year. Read next: 2018 Toyota Camry: Which Spec is best? Mazda 6 sedans make up 70 percent of sales compared to the wagon, but the opposite is the case for the Volkswagen Passat. Volkswagen Australia’s general manager of corporate communications Paul Pottinger said the Passat is still a very important model, pointing out that a mid-life update will be arriving toward the end of the year. Pottinger explained the Passat wagon, which made up about 60 percent of its 1804 sales in 2018 and is now part of the Victoria Police fleet, has helped the marque retain buyers who may otherwise have switched to an SUVs. Hyundai Australia also confirmed it’s sticking with medium cars, with the surprisingly attractive next-generation 2020 Sonata due here second half of this year. That’s despite the current model sitting seventh, behind the Subaru Liberty and Skoda Octavia, to claim just 3.6 percent of the segment last year with 1024 sales. Even Honda Australia remains committed to the segment with an all-new Accord arriving in the second half of the year, despite just 179 sales in 2018. The company is expected to take a different strategy to the current-generation model, with more details to be announced soon. Meanwhile, the 2019 Ford Mondeo is set to arrive in the next few months, featuring a subtle facelift, new powertrains and the latest driver assistance tech. 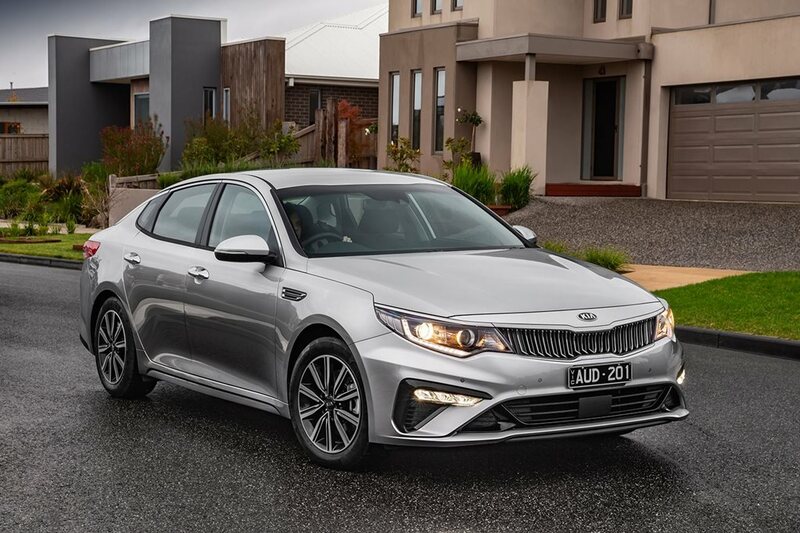 For its part Kia Australia says a variety of factors had led to the demise of the Optima, which will remain in the local line-up until November. Kia Australia PR chief Kevin Hepworth conceded the Optima never quite resonated with the Australian public, with the nameplate introduced at a time before the Korean brand gained salesroom traction. He said while growing SUV sales have certainly had an impact, there were other factors including buyers overlooking it in showrooms in favour of the larger and more emotionally-appealing Stinger sports sedan, while the growth of the new Cerato small sedan put pressure on Optima sales from the other direction. The Kia Optima range was progressively trimmed to just two variants - the 2.4-litre petrol Si and 2.0-litre turbo petrol GT - but Hepworth denies that more choices, including a diesel option, would have improved its fortunes, instead saying more variants bring complexity and reduced the company's ability to provide value. So, while the Optima heads for the gallows it appears the rest of the medium segment enjoys a stay of execution. Changing tastes mean they'll arguably never enjoy the popularity they once had, but for the bulk of players in the shrinking segment there are still plenty of reasons to stick with sedans. Honda has confirmed it will bring the tenth-generation Accord to the Australian market, though it’s still about a year and a half away from touching down in showrooms.